Welcome to ThemeAsia. 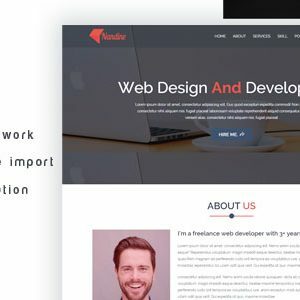 Hire a best freelancer form ThemeAsia Read More..
Nandine WordPress theme is a clean design and code, Creative and highly professional template design. Super easy to use Nandine WordPress Theme for any portfolio or CV-related websites. The version has all the functionalities to display any kinds of portfolio/CV related websites in a beautiful way. One of the best portfolio themes for WordPress. Thank you! We provides limited support for this item through support ticket.